Winthrop Harbor is a village located in Lake County, Illinois. As of the 2010 census, the village had a total population of 6,742. The total area of the village is 4.4 square miles. In the 1970's, the State of Illinois designated the area east of the Chicago and Northwestern Railroad tracks as a conservation area. Approximately 200 homes were purchased by the State, relocated throughout the area, demolished or claimed by Lake Michigan. 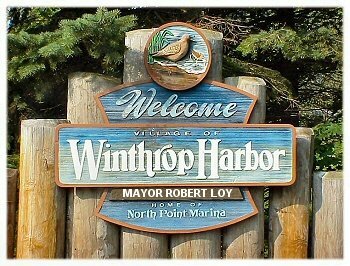 In the 1980's, Winthrop Harbor saw a lot of residential growth. The Oaks, the Pines, the Berrong Estates, and Harbor Highlands were developed and in 1988, The North Point Marina was opened. Today the village is a community of small businesses and residential homes. With the opening of the North Point Marina, the Great Lakes' largest marina, the village has seen an influx of travelers and major increase in tourism. The village is located half-way between Chicago and Milwaukee. Citywide Services provides residential appraisal service in Winthrop Harbor, Illinois 60096. Appraisals for divorce settlements, prenuptial agreements, estate settlement, bankruptcy, property tax appeals, bail bonds and for sale by owner. Our appraisers are state certified and have experience with single family homes, town houses, condominiums as well as small residential income properties. When you need to find a real estate appraiser in Lake County contact Citywide.